The Clash’s The Right Profile comes bubbling through my consciousness whenever the topic of screen legend Montgomery Clift—”Monty”—comes up. The jaunty tune easily catches your attention in a sing-a-long fashion, along with references to the dark undertow that accompanies Clift’s iconic status as a Hollywood screen star. The refrain of the song where Strummer intones “What’s he like?” tugs on the ear, and the mind muses, wondering, who is Montgomery Clift and what was he like? Classic Hollywood and mid-century movies were steaming with hot new male archetypes. Birthed in the 50’s, young male leads like James Dean, Marlon Brando, and Montgomery Clift lit up the silver screen with a more complicated and passionate male role model than had ever been seen before. “Making Montgomery Clift” is a documentary film by Clift’s nephew, Robert Clift, and his partner Hillary Demmon, that explores the idea of “What was he like?” with an expansive and detailed account of the celebrated actor’s life and work. “Making Montgomery Clift” challenges the stereotypes and the narratives presented since his death in 1966 at the age of 46. He has often been painted as a tragic figure with the tagline, “The longest suicide” since his unfortunate departure in the 60’s. “Making Montgomery Clift” is a documentary that challenges the myths cultivated in pop culture and urban legends about his life and his artistry. It is time to set the record straight. There are a number of points the documentary makes about Monty’s life and work that run against the grain of the current popular narrative about his life. 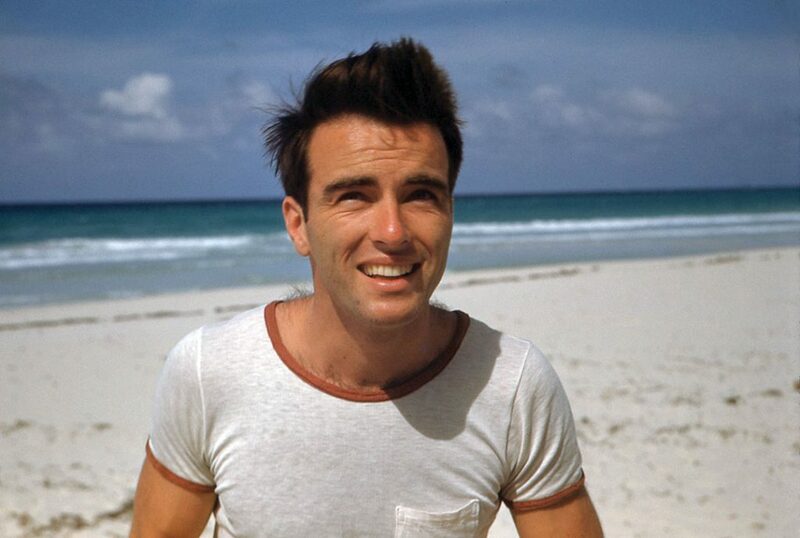 The majority of “Making Montgomery Clift” comes from his brother Brook’s perspective, with an extensive collection of tapes, publicity and news clippings. The documentary features rare photos, some old super 8 footage and a substantial audio library that digs in deep to Clift’s life. There are interviews with his close friend Jack Larson and biographer Patricia Bosworth, who offer insights based on their experiences with Clift. All of these pieces coalesce in this documentary, illuminating Clift’s story and prove foundational to the idea he wasn’t on a suicide mission and he was in control of his life. The stories from Clift’s relatives and friends accent the gifted child actor who was cultivated in theater and surrounded by some of the most celebrated talents of his time. Clift wasn’t part of the Hollywood studio system, and he wasn’t dependent on it. He was in control from the very beginning of his movie career, carefully selecting his projects and aligning himself with the greatest moviemakers of his time. His talent was in such high demand he commanded the terms and conditions on how he would work and those he worked with determining the roles he felt best suited for his talent and his career. “Making Montgomery Clift” is a combination of many threads woven together, telling this multifaceted story of a complicated human being and a provocative, thoughtful artist. Through this film, we learn about the trajectory that lifted Clift to phenomenal stardom. “Making Montgomery Clift” is as much an inventory of his life as it is a passionate and joyful recollection of a gifted artist and a genuinely loving human being who captivated a generation of moviegoers. Making Montgomery Clift will screen on Sunday, September 23rd at 8:30 p.m. at the Arclight 8 in Hollywood. This entry was posted in Events, Movies, News & Sports, Upcoming Events and tagged Anti-Hero, Billy Bennight, bubbling through my consciousness, Classic Hollywood, documentary, Film Independent, Hollywood, IFC, Indie Movie, LAFF, LGBTQ, Making Montgomery Clift, Montgomery Clift, Movie Icon, Queer icon, screen legend, The Clash, The Right Profile. Bookmark the permalink.